François Ozon’s first English-language film is a lavish melodrama set in Edwardian England. Based on the novel ‘The Real Life of Angel Deverell’ by Elizabeth Taylor, it follows the life of the spirited and determined Angel (Romola Garai). In her final year of high school, the conceited and domineering teenager dreams of becoming the greatest romance novelist of all time. Against all odds, she produces a series of incredibly popular works under the patient administration of her literary agent (Sam Neill) and the skeptical eye of his wife (Ozon favourite Charlotte Rampling). Despite having no experience of life or love, Angel becomes a enormously successful, and her dreams of fame and fortune come true. 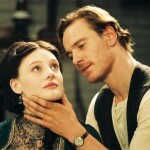 Passionate, driven and not entirely likeable, Angel inspires devotion in some, like her dutiful secretary Nora (Lucy Russell), and antipathy in others, like Nora’s brother Esmé (Michael Fassbender). In Esmé, a talented but unsuccessful painter, Angel feels she has found a kindred spirit, and pursues him. They marry, but as the First World War breaks out, Angel realises she cannot hold her fortune in her hands forever. Ozon infuses Angel with the intelligent camp humour of his previous films, and creates a complex and lavish melodrama. Nominated for the Golden Bear at the 2007 Berlin International Film Festival. Angel Defining what ‘Sumptuous’ means. ‘Angel’ is an intense psychological portrait of ‘Angel’ – who strives to make her fantasies become a reality. She shows us what it might mean to get hold of everything she’s ever dreamt of, and what the real outcome of that might be. Angel is the first English language film by the renowned filmmaker François Ozon. Often referred to as the enfant terrible of French cinema, Ozon’s signiature style combines an uncommonly quick wit with a unique take on human sexuality – which he adapts to this curious setting. While many of his previous films, such as ‘Time To Leave’ (2005), embody a minimalist attitude to filmmaking, Angel brings Ozon into a far more sumptuous world. British filmmaking from the French point of view. Ozon best describes the mood of his film as “choc-a-bloc with vivid colors, a myriad of characters weaving tangled webs, single scenes covering the gamut of emotions and contradictions. What I found most fascinating, beyond tackling the melodrama, was working with the passage of time: using ellipses, finding striking visual ways to illustrate turning points in a character’s life, and experimenting with cross fades for the first time.” The result is dialogue that is as full of deliberate sweet-artifice, as the scenery is. We see two distinct sides to Edwardian Britain come to life in Angel. On the one hand Ozon offers a sober depiction of life around the turn of the 1900’s, while on the other, the picture is far more creative with the culture. “When Angel moves to Paradise House,” enthuses Ozon, “suddenly we could do whatever we wanted with the decor and the costumes. We were free to enter Angel’s imaginary world, indulging in and sharing her childlike bad taste, which brings to mind Louis II’s castles in Bavaria!” The result is for you to see, and decide whether you like it! Angel will be showing as part of the From Blighty with Love season across Delhi, Mumbai and Bangalore, from 5th to 18th March 2010, with a chance to put your questions live to British filmmakers live after selected shows.